This page contains various documents supporting my defense. Updated Feb 1, 2014! UPDATE: I successfully defended my dissertation on January 9, 2014 at Oregon State University, Burt Hall Room 193. 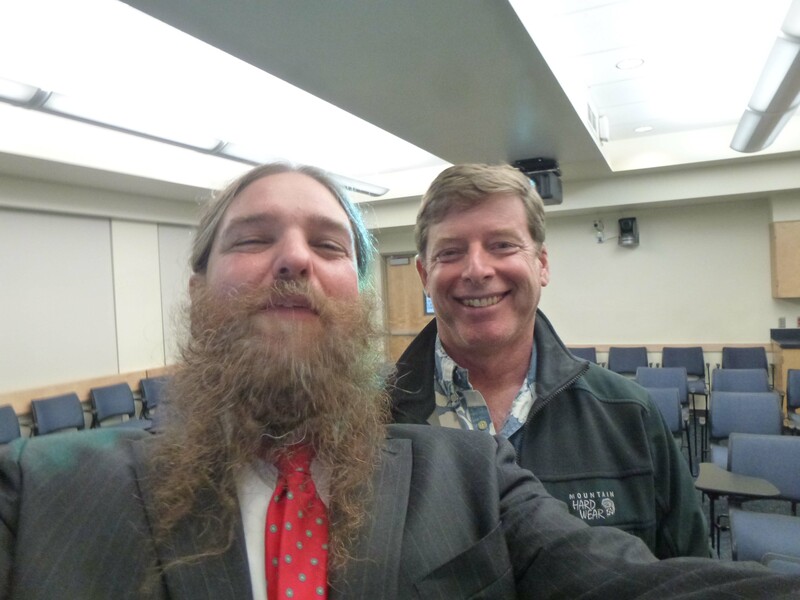 Chris Goldfinger and I after my defense, but before I changed back into my shorts. Bob Yeats showed up half hour early, before i changed into the suit. He wondered why I was not defending in my shorts. Here is a 45 minute video of my presentation (~180 MB wmv).